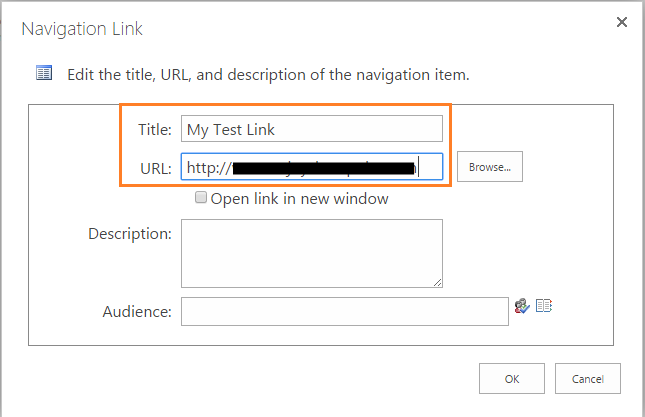 Here we will see how you can add links in top link bar in SharePoint 2013. There are two ways to do that, one is to directly we can add links in the home page as well as you can add link to top link bat from the Site Setting page. Then click on Save, it will save the link. 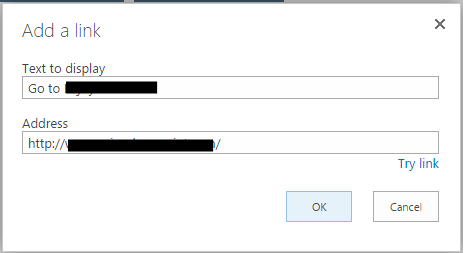 Open your Site, then from the Settings icon click on Site Settings. 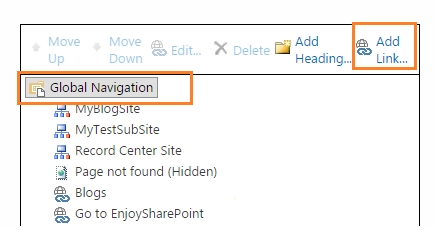 Then in the Site Settings page, click on Navigation under Look and Feel section. HostForLIFE.eu’s SharePoint 2013 Hosting solution offers a comprehensive feature set that is easy-to-use for new users, yet powerful enough for the most demanding web developer expert. Hosted SharePoint Foundation 2013 is the premiere web-based collaboration and productivity enhancement tool on the market today. With SharePoint 2013 Foundation, you can quickly access and manage documents and information anytime, anywhere though a Web browser in a secure and user friendly way. 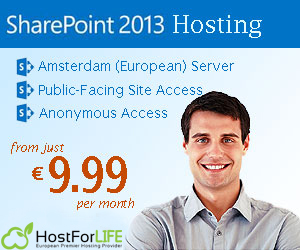 SharePoint hosting services start at only at €9.99/month, allowing you to take advantage of the robust feature set for a small business price. HostForLIFE.eu offers a variety of hosted SharePoint Foundation 2013 plans as well as dedicated SharePoint 2013 Foundation options. Print article This entry was posted by Matthew Gilbert on December 23, 2015 at 3:22 pm, and is filed under European SharePoint 2013 Hosting, European Sharepoint Hosting, European SharePoint Server 2013 Hosting, European Sharepoint Technology. Follow any responses to this post through RSS 2.0. You can leave a response or trackback from your own site.